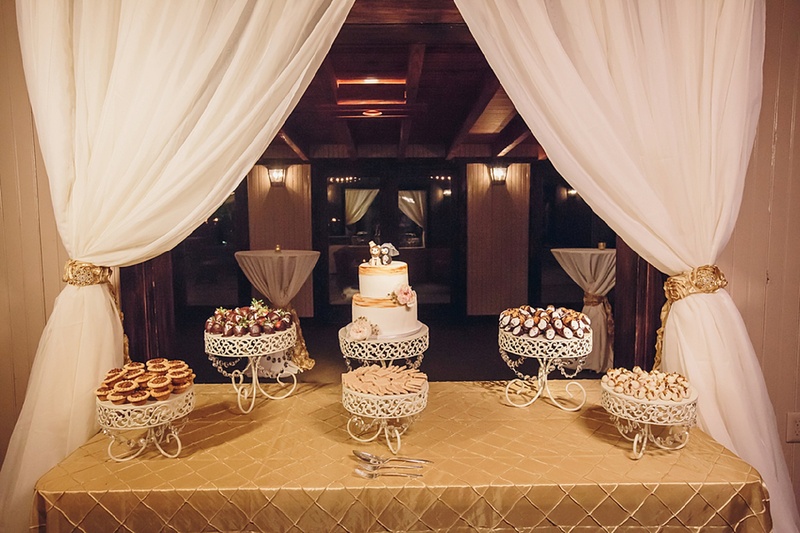 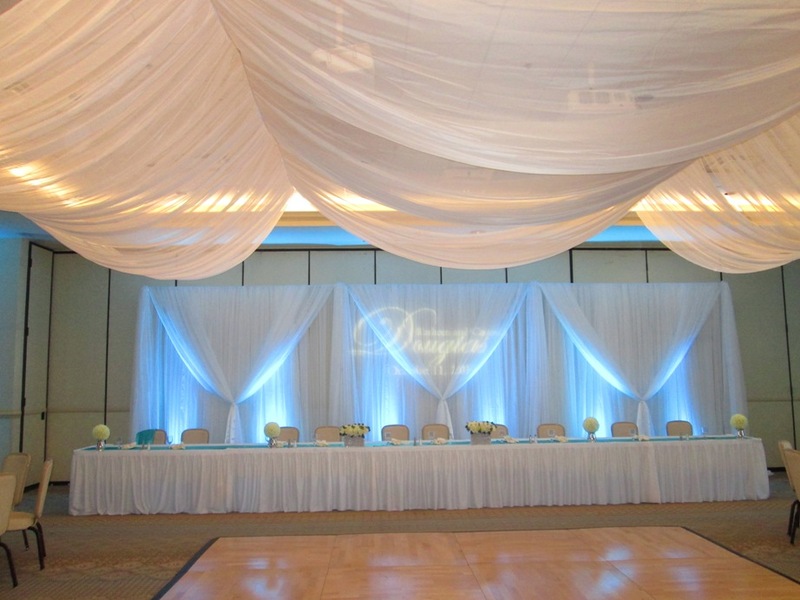 Tanis J Events uses pre-cut “drapes” of sheer voile fabrics. 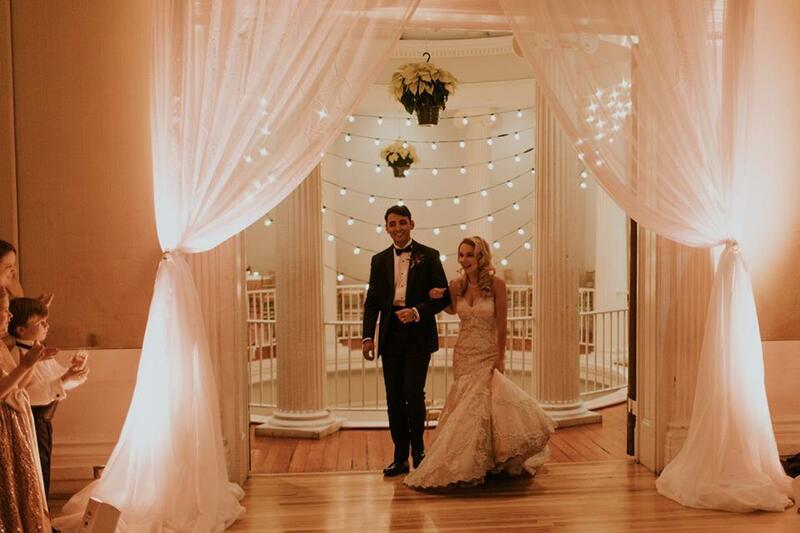 Because they are pre-cut and hemmed, we are able to reuse the fabrics rather than cutting them from bolts of fabric onsite and then having to throw the fabrics out after the wedding or event. 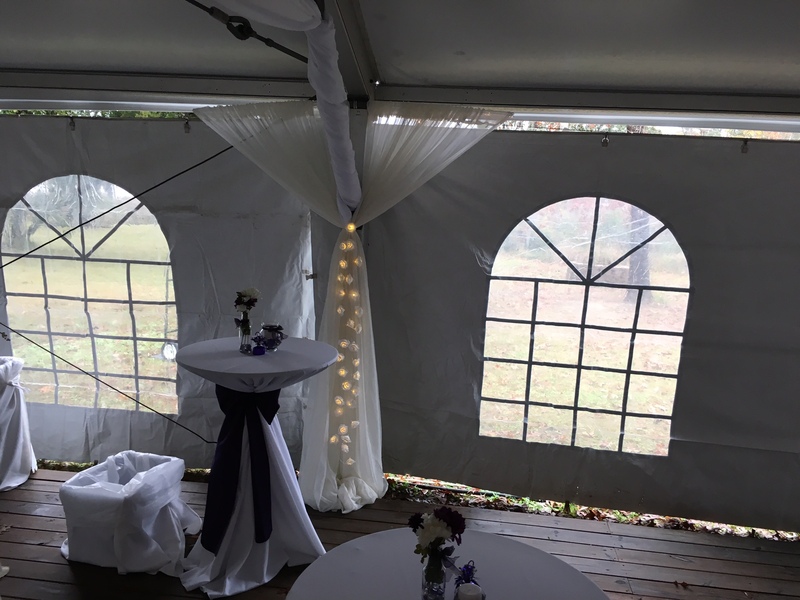 Low season draping minimum: $500; High season draping minimum: $1000; Tent draping minimum: $1500; Out of town draping minimum: $1500. 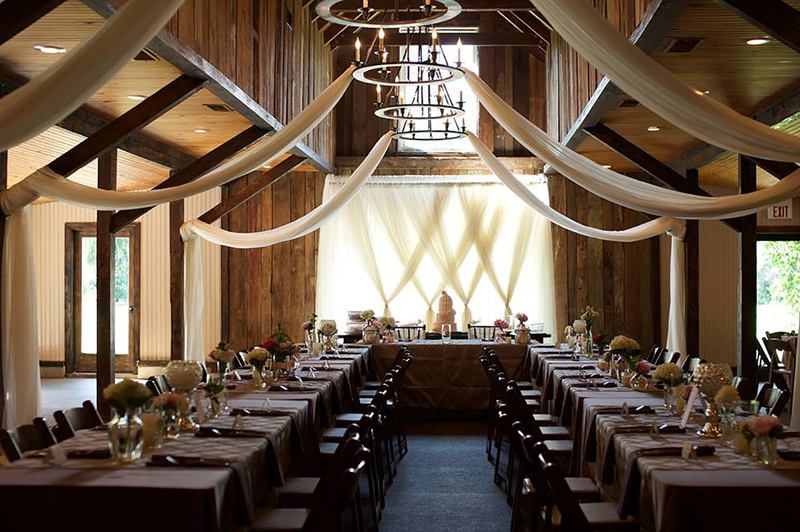 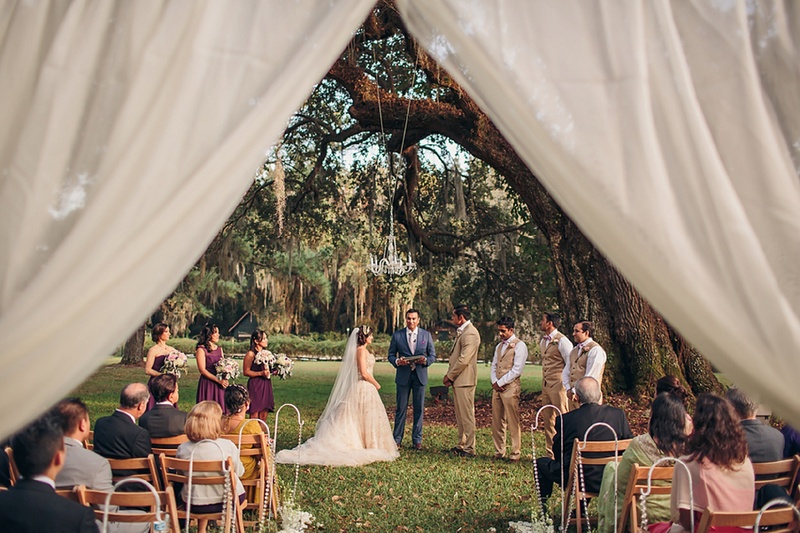 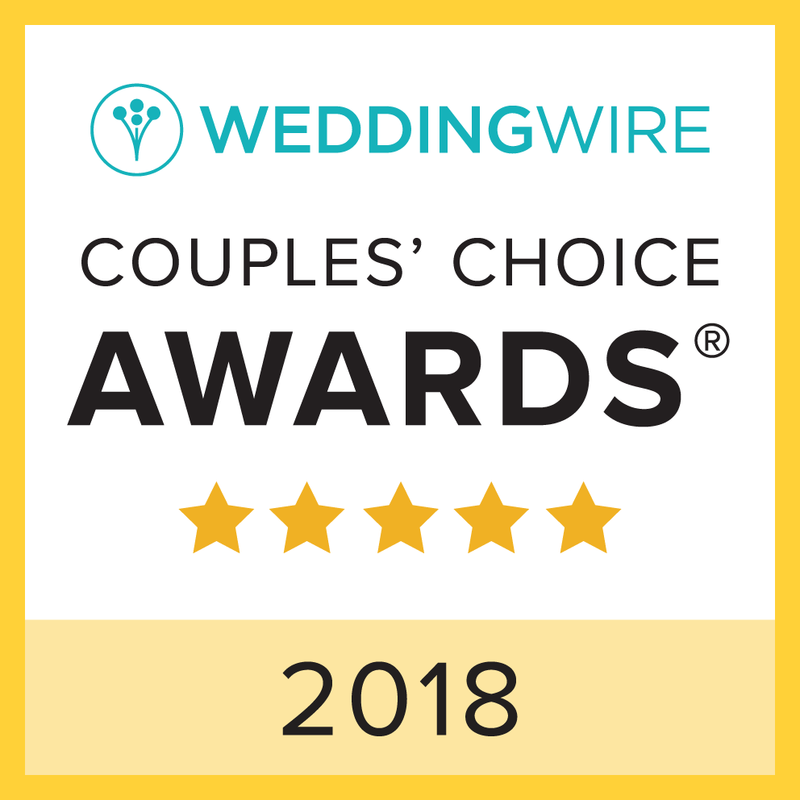 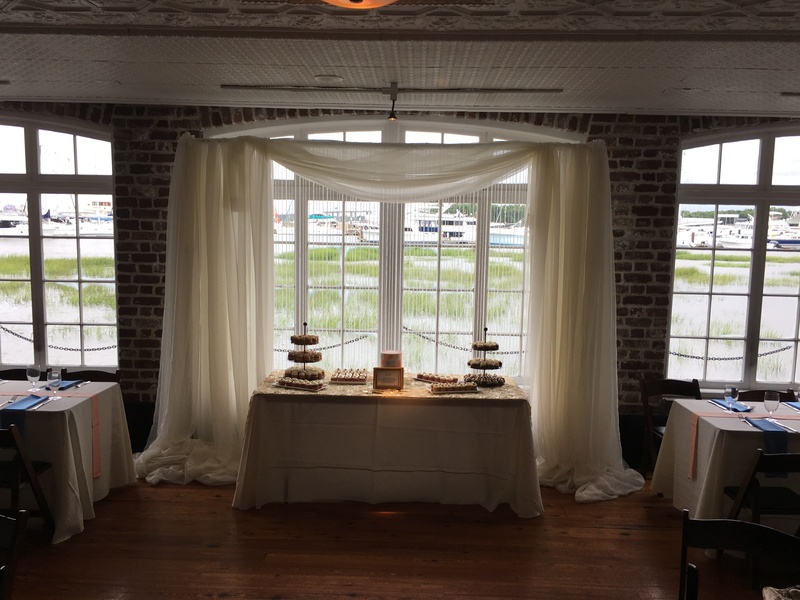 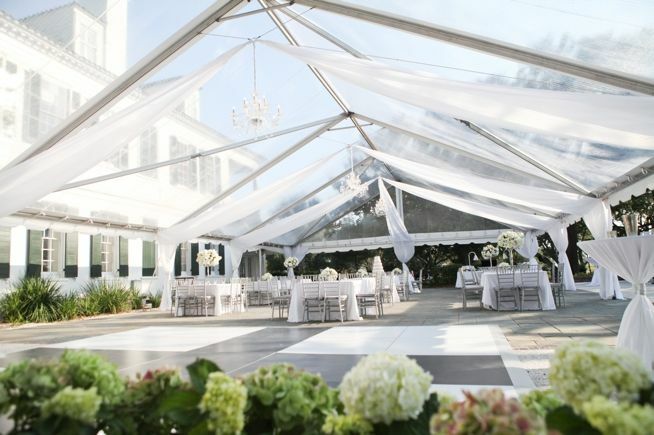 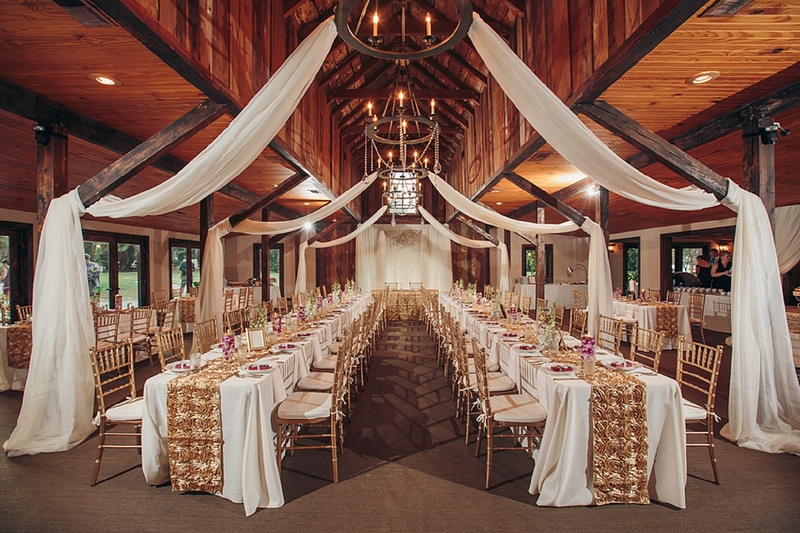 A complimentary site visit is included for local Charleston and Low country wedding/event draping inquiries. 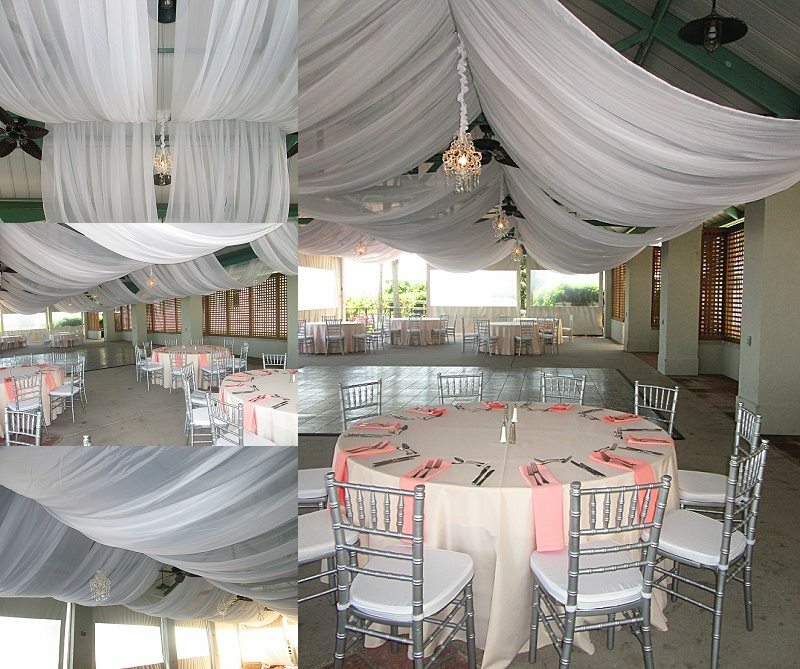 Out of town draping that requires a site visit may be subject to a fee. 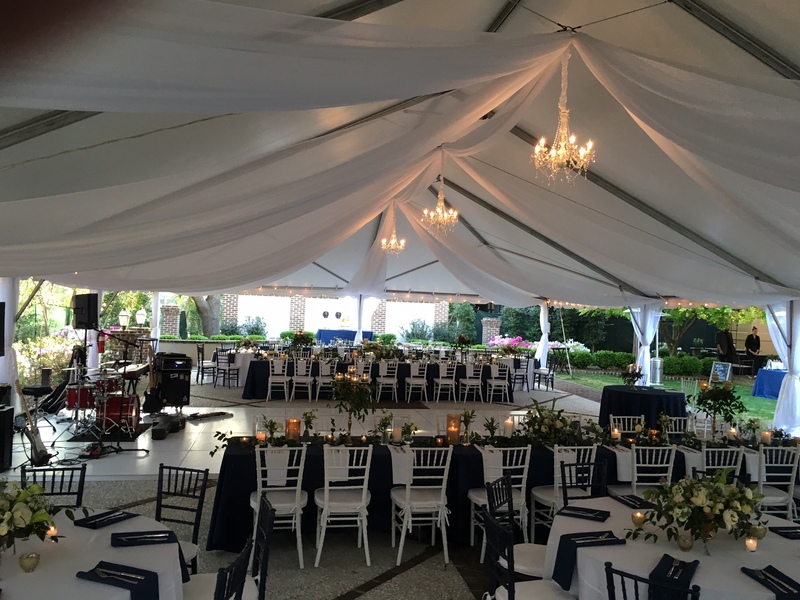 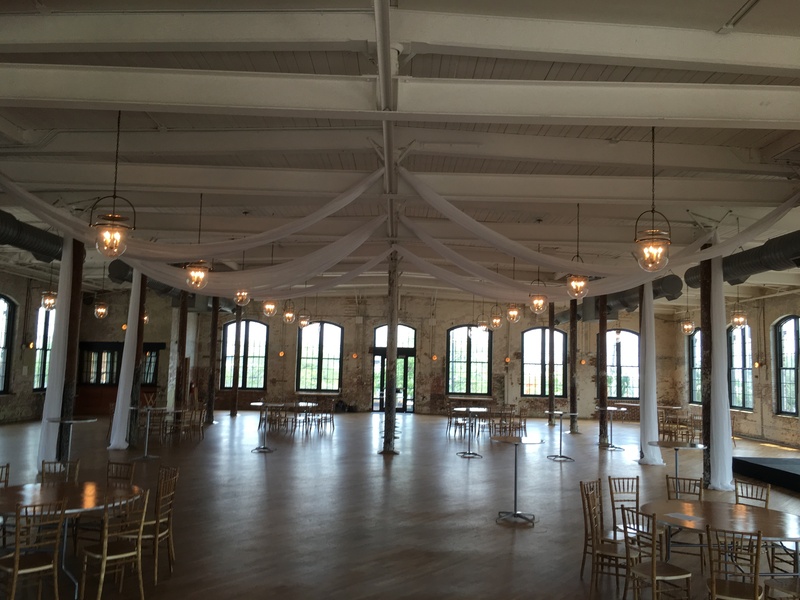 All draping requires a 50% retainer at contract execution to hold the event or wedding date. 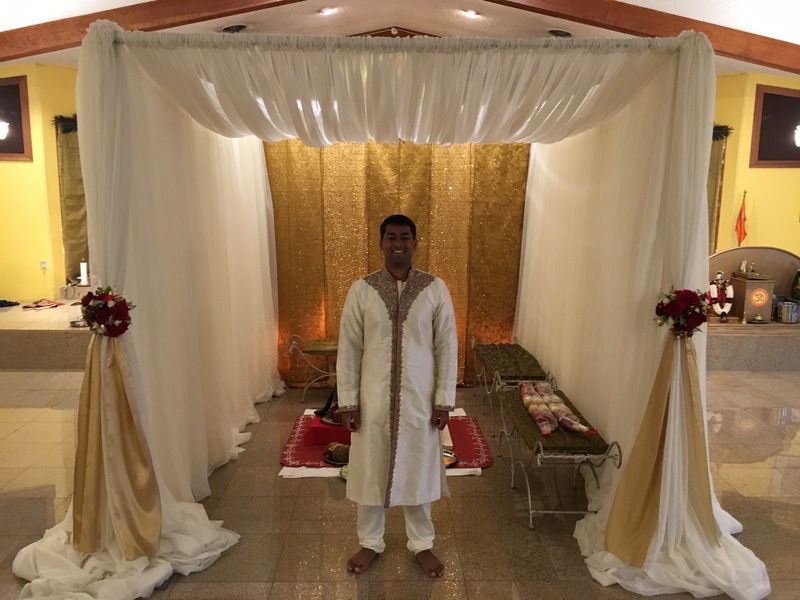 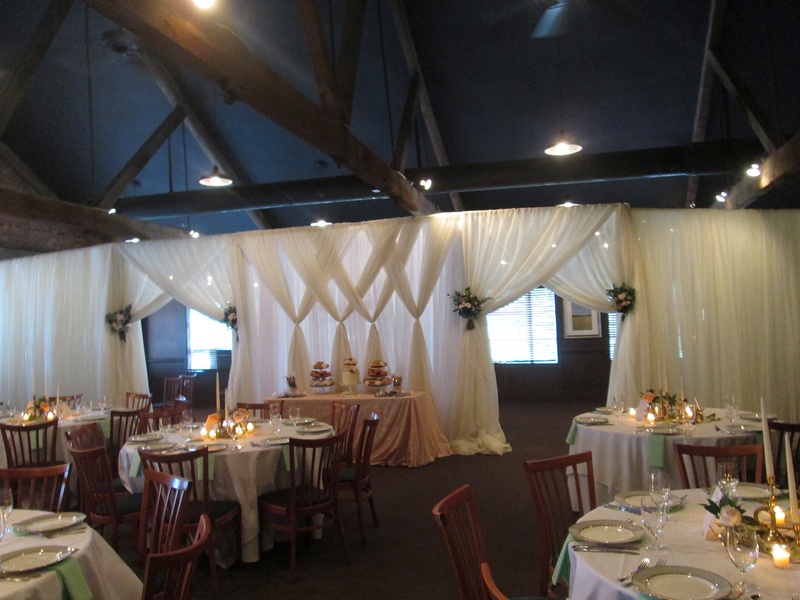 Tanis J Events offers draping sharing services for clients who are in the same venue on back to back days. 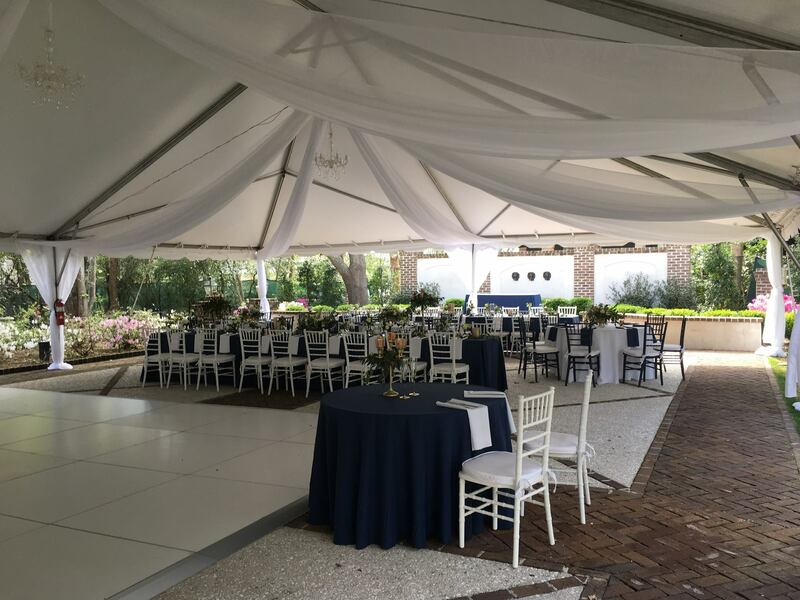 We will give 25% off draping for both clients where the draping goes up & stays up through both events and is approved by the venue. 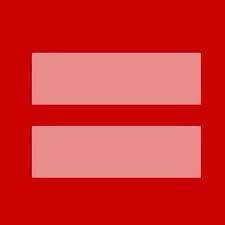 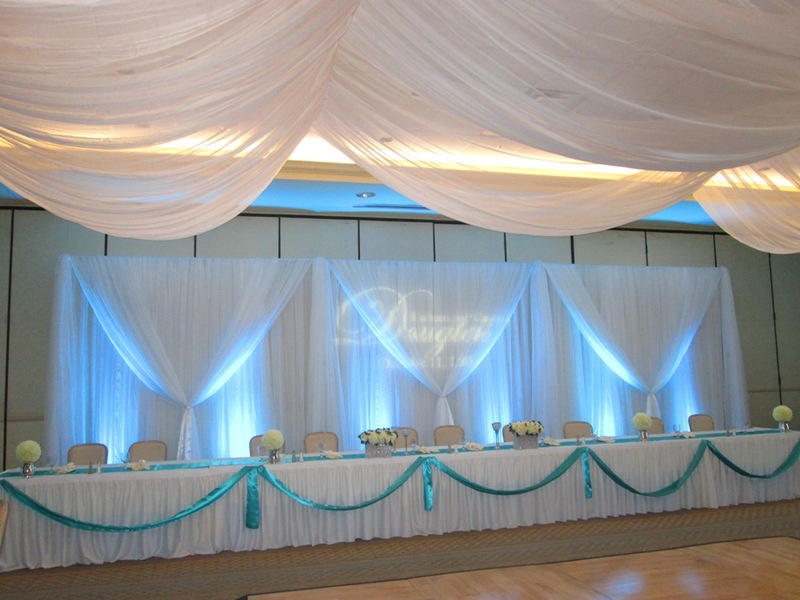 Fabric color and draping design must be the same for both events. 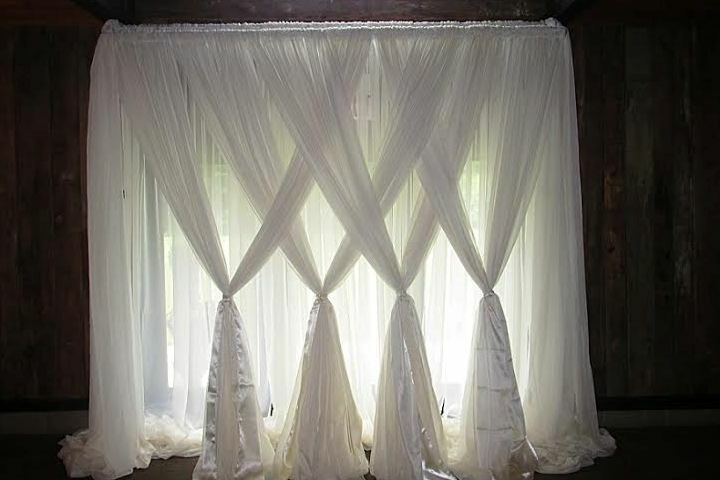 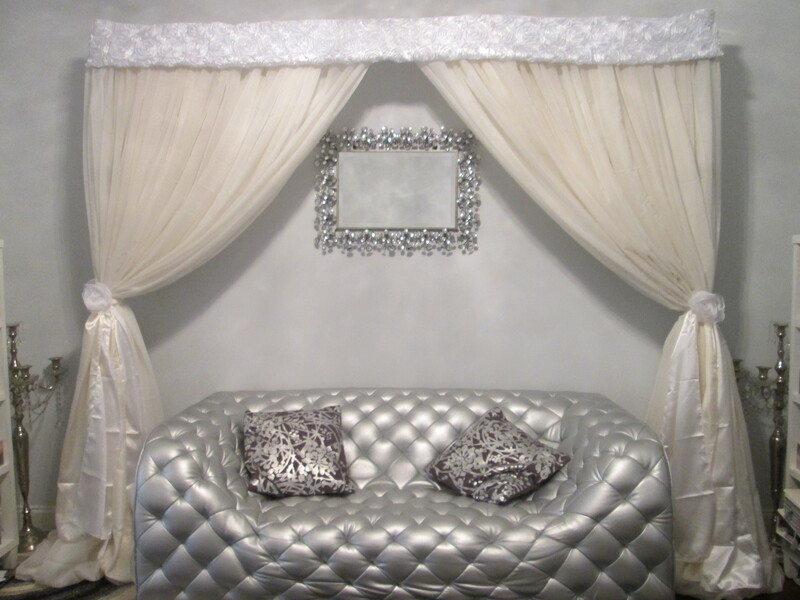 Click this draping photo to see and/or download our Draping Design Catalog. 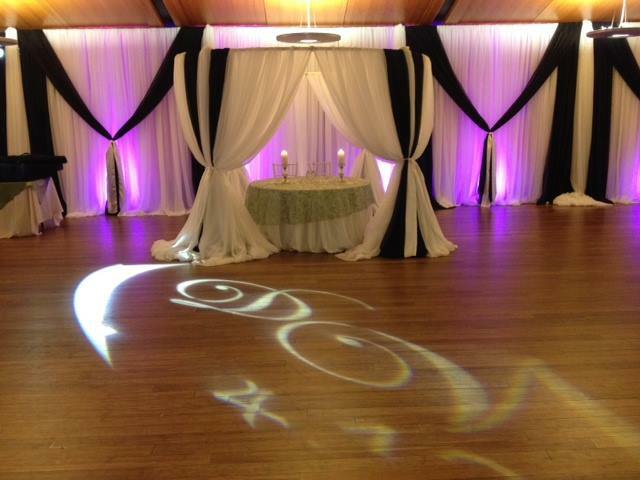 View our Draping Design Gallery. 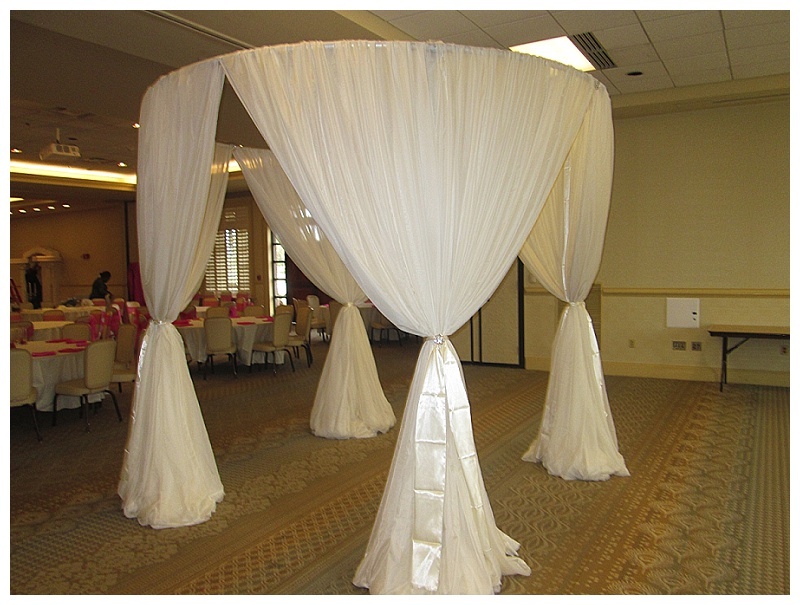 Check out our short videos on Draping Design techniques by clicking on the photos below. 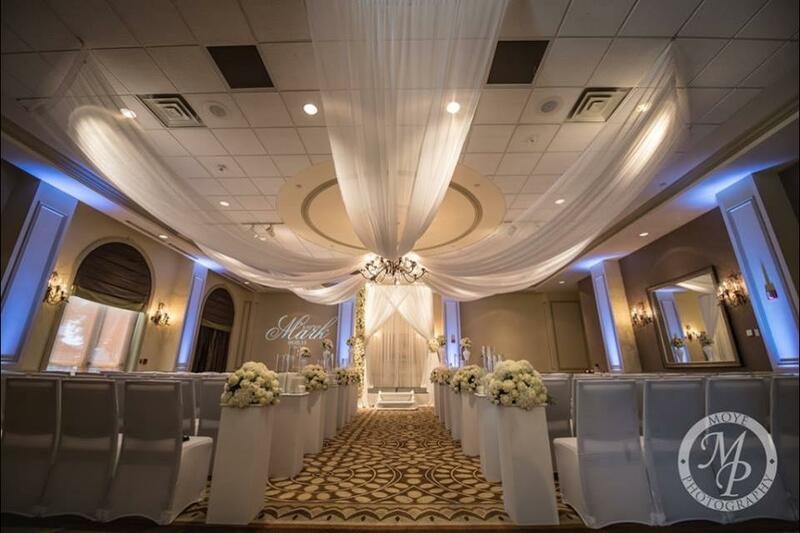 Contact Tanis J Events to be your Wedding Draping Designer.